Rescue Canada was founded in 1988 by Jim Lavalley. In its first year, Rescue Canada became the Canadian agent for Rescue 3 International’s Swiftwater Rescue Technician (SRT) course developed by founder Jim Segerstrom. Throughout the 90’s Rescue Canada expanded the original SRT program across the country and adapted it to better fit the needs of the different sectors of the swiftwater industry. 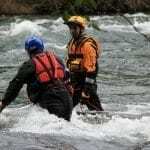 Between 1992 – 1999 Rescue Canada was the first to formalized changes to the SRT course to specifically meet the needs of the Professional River Guide; it developed the Swiftwater Boat Operations and Technician courses for the Department of Fisheries and Oceans; Rescue Canada courses have become the standard for many Federal, Provincial and Municipal Departments as well as University College Institutions across Canada; developed a special course specifically for the U.S. Secret Service; and in 1999 Rescue Canada became an independent rescue training organization, after over 10 years as the primary agent in Canada for Rescue 3 International. Rescue Canada now uses research based and industry leading curriculum to provide the highest standard of courses. All Rescue Canada courses are now certified through the I.R.I.A. Jim Lavalley is one of Canada’s leading safety and rescue professionals. He is the founder and CEO of Rescue Canada and an international court recognized subject matter expert. Jim continues to develop and provide research-based training and education as well as develop industry-leading equipment for Force 6 Safety Products. Jim holds a university degree in Resource Economics and Environmental Science and in the 1970’s was a member of Canada’s National and Olympic bobsled teams. Adam Laurie lives in Chilliwack, BC and has been a Rescue Canada instructor since 2009 and is the Operations Manager for Rescue Canada. He has been a member of Chilliwack Search and Rescue since 1999 and a Paramedic since 2002. Adam is a swiftwater subject matter expert and instructs many specialized swiftwater courses across Canada and Internationally and heads up the university programs with Rescue Canada. When not “living the dream” he can be found volunteering as ski patrol or kayaking, rafting, or just plain old swimming down the river. Michael Stegemann has been with Rescue Canada since 1989 and continues to lead up the Helicopter Safety and Rescue PRograms. Michael has 16 yrs experience with BC Search and Rescue, 7 yrs with the local fire department and continues to work as an Advanced Care Paramedic in BC. Michael helped pioneer the swiftwater courses throughout the 1990’s for Rescue Canada and now head up the Helicopter Safety Rescue Programs. Over the last few years Michael has travelled to the USA to take part in many helicopter rescue training operations and continues his passion in the helicopter and patient care fields. Chris Armstrong Chris currently lives in Nelson, BC and has been part of Rescue Canada since 1997. Chris teaches the Rope, Ice and Swiftwater Courses and loves that he is able to travel to provide these courses. When not working for Rescue Canada, Chris owns and operates Kootenay Swiftwater, is a member of Search and Rescue, is the director of marketing for BCSARA and the West Kootenay Director of BCSARA. When Chris is able to find the time, he enjoys expedition rafting and volunteering for Search and Rescue. Chris’ most daring adventure…?? Having kids! Lauren Phillips calls Prince George home but really calls the great outdoors her home. She has been providing high quality instruction for Rescue Canada through her business OverHang for many years and continues to develop her skills in swiftwater, ice and rope safety and rescue. When she is not hanging around on the climbing walls in the gym she might just be teaching outdoor education courses or busy on tasks with Prince George Search and Rescue. Just listen for her laugh and you will find her and her smiles. 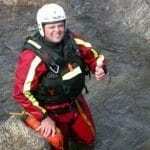 Jamie Turko is one of our Swiftwater Rescue Instructors for Vancouver Island. 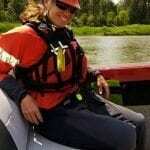 Jamie became involved with Campbell River Search and Rescue in 1996 and is a strong volunteer in the community. 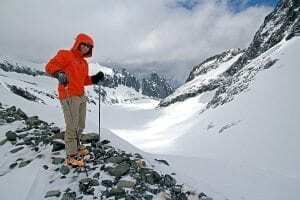 In the past 18 years he has accomplished certification in Wilderness first aid, Occupational Level 3 First Aid, Swiftwater Rescue, Rope Rescue, Alpine Rescue, Glacier Rescue, Organized Avalanche Response, GSAR Instructor and Helicopter Safety. He has also successfully certified in Industrial Rescue, Fall Protection and Confined Space Rescue. Partnering with Rescue One for BC Hydro, Co-gen plants, local industrial and commercial projects. 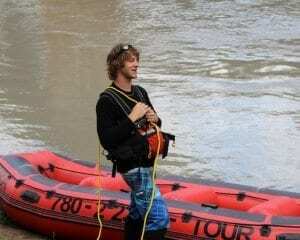 Jamie owns and operates Destiny River Adventures, Vancouver Island’s only river rafting company. He started his river guiding career in 1999 on BC’s coastal rivers. In the winter seasons, he volunteers his time on two of the local ski hills as a Ski Patroller, keeping his first aid skills current. From the mountain peaks to the valley bottoms, Jamie’s passion for outdoor survival shows with confidence, experience, encouragement and a big smile. Gord Bunston Calling British Columbia and the East Kootenays home, Gordon has been involved in the whitewater industry for over 15 years. He has guided everything from remote trips in British Columbia, overnight trips in Southern France, to an expedition in the Grand Canyon; he shares a variety of experiences in both the outdoor and rescue industries. Gordon has been with Rescue Canada since 2012 where he teaches Swiftwater, Ice and Raft programs, and mentors new instructors; there is no ego in his courses! He works as a firefighter, Emergency Social Services Director, Paramedic, Guide, College Instructor and volunteers with Search and Rescue when needed. If you ask him what he loves about teaching it is helping the students progress, and train to develop personal confidence and become competent rescuers…. or it may be the entrapment exercise! Dean Price work’s hand and hand with Lauren Phillips. Maybe that’s because their married. When Dean’s not providing safety and rescue instruction and assistance he is busy with his own construction company and Prince George Search and Rescue. Dean put organization, problem-solving and leadership to the next level. Brenna Kelly Currently Brenna is running her own whitewater kayak and stand up paddleboard school in Invermere BC. 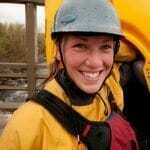 Brenna has been part of the Rescue Canada team for 4 years and teaches the Swiftwater Technician Courses. She loves that no matter if it’s your first course or your fifth time taking a course, you will always learn something new! To keep life interesting you may find Brenna skydiving, bungee jumping, dropping a 35-foot waterfall in a kayak or even stealing her brothers snack when he is not looking! Brenna would like to warn you…she likes lame jokes so please sympathize! Larry Obst is a Fire Captain with Prince George Fire/Rescue Service and their internal safety rescue instructor. Larry has been delivering the Rescue Canada curriculum and certification in Swiftwater and Ice rescue environment to the valuable PG Firefighter for over 16 yrs. Larry Brings a wealth of experience and instruction to the Rescue Canada team. Kevin Daffe Owner and operator of Tatshenshini Expediting in Whitehorse, I have made it my passion to explore rivers not only in the Yukon but all over the world. Started kayaking when I was 8 years old it was an easy transition guiding and instruction. Now, with a teaching degree, and 15 years of teaching river rescue I love demonstrating and training safe paddling and river rescue techniques. Sharman Learie has traveled extensively in surfing, sailing, sea and whitewater kayaking, rafting, canoeing, ski touring, and climbing. His adventures have taken him to Asia, Europe, Central America, the Caribbean, and the west coast of North America. He has guided and instructed paddle sports for over 22 years throughout Western Canada and the United States. Sharman is a Surf instructor with the International Surf Association and the National Surf School and instructors Association, an Instructor Trainer with Canoe kayak BC, a Swiftwater Rescue Instructor for Rescue Canada, and a Rafting Trip Leader and Examiner for commercial river rafting. Sharman is one of the co-founders of Stellar Descents Backcountry Adventures Ltd., a whitewater rafting company that has pioneered numerous rivers in the Robson Valley and he owned and operated for 5 years. 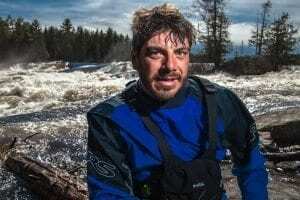 He sits on a chair of the educational and instructor committee for the Canadian Surf Association (BCROA) and a member of Paddle Canada’s program development committee for whitewater kayaking. 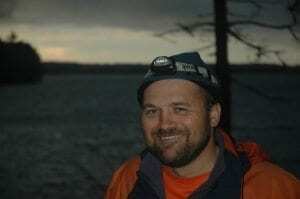 Craig Campbell has been an instructor in the Adventure Studies Department at Thompson RIver University since 2013, and has been involved in Adventure Education since 2005. 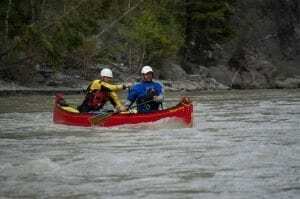 An early graduate of the TRU (Cariboo) Adventure guide program, Craig went on to found a successful whitewater rafting and activity re-selling business in the Kootenay region of British Columbia. 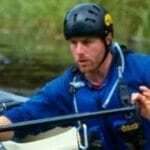 He has worked extensively guiding/guide training for white-water kayaking, rafting, swiftwater rescue and canoeing. 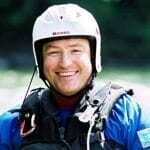 Bob Vranich is one of our newest members to join our team although definitely not new to the swiftwater environment. Chasing summers and raftable rivers for many years Bob is still adjusting to the BC winters but is slowly adapting. His impressive knowledge of the whitewater and passion for wilderness first aid makes him a valuable asset to the Rescue Canada team. 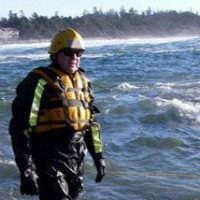 Bob has been working extensively in providing the swiftwater rescue courses at Thompson Rivers University and always working on cutting edge scenarios. When not working hard at the university he can be found munching on a snicker bar. Mat Kasunich Mat Kasunich has been instructing and guiding in the Outdoor Industry for the last 18 years. He has worked throughout Eastern and Western Canada as well as the United States. 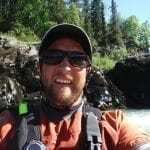 Mat is a Rafting Trip Leader and Examiner for Commercial Rafting in British Columbia, an Instructor for Paddle Canada and a Swiftwater Rescue Instructor. You can usually find him happily playing in the mountains backcountry skiing, paddling, or mountain biking. He loves working for Rescue Canada and getting to meet new people on the river. Britt Needham became a welcome addition to the team a few year back and continues to define her role as one of the top female instructors in her field. Britt has an amazing background in rescue and instructing as well as enforcement from her military background. She has worked as an instructor in rock/ice climbing, swiftwater, ice, rope, avalanche, SCUBA, and unarmed combat, just to name a few! Britt has also performed many rescue which give her the experience to back up the teaching she provides. Besides all this she actively competes in Mounted Cowboy Shooting. Bruce Rieger has been part of the Rescue Canada Team since 1995 and teaches the Ice, Swiftwater, and Boat Safety Rescue Technician Courses. Bruce loves that he is able to meet and teach all different types of people in the industry he loves. When not teaching for Rescue Canada, Bruce works for the rafting industry in the summer, the ski hill industry in the winter and for the Trans Canada Pipeline throughout the year. When he is able to find time, Bruce will most likely be Whitewater kayaking in the Ottawa area. Bruces warning to others is… if you are not living on the edge, you are taking up too much space! 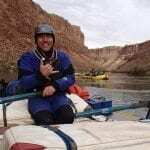 Matt Cucarro Has been an Instructor with Rescue Canada for over 20 years teaching Swiftwater, Boat and Ice. 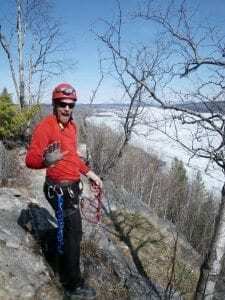 When Matt is not on the water or ice teaching for Rescue Canada he is a lead instructor with Algonquin College’s Outdoor Adventure Leadership programs, creating and running curriculums and courses to help our future guides have the skills to make sound decisions. When Matt isn’t teaching he is the Guide Manager for Wilderness Tours on the Ottawa River. 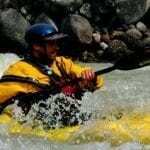 Matt has been a whitewater professional and enthusiast for his entire working carrier. 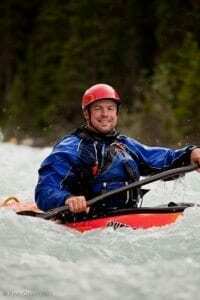 Matt was also a member of the Canadian Whitewater Freestyle Team and is a CSIA Level 4 instructor and Level 2 course conductor and senior instructor with Canadian Wilderness Medical Training. If you can’t find Matt on the water he is probably on the ski hill. Steve Staye Steve Staye calls home in Arnprior, Ontario and is part of the Ottawa Fire Services as a Firefighter/Water Rescue Team Leader. When not working, Steve keeps busy kayaking, river boarding, canoeing, scuba diving, and coaching high school football! 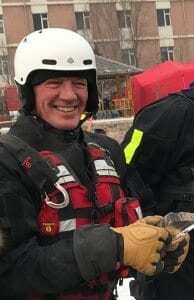 Steve has been part of the Rescue Canada Team for over 20 years and teaches the Swiftwater Safety Courses, Boat Safety Courses and Ice Safety Courses. His favorite part about teaching the courses is that it is an opportunity to help people with specific rescue problems and to help them operate safely in the moving water environment. 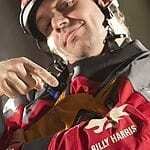 The legendary Billy Harris is actively engaging in water activities in the Ottawa area. Although during the day he hangs in tress he is always finding time to share his expertise in swiftwater, boat, and ice safety rescue courses. His intense personality enables him to motivate his students like no one else. His passion for the water is still very evident as he teaches kayaking and his dedication to the paddling community on the Ottawa River. Did you know that Billy is part of the Team Canada Kayak Team and has pulled in numerous medals! Joe Storms has been an instructor with Rescue Canada since 2002. In addition to this, he has been training in swiftwater and high angle rescue for almost 10 years. Joe is also skilled in a variety of other outdoor pursuits including mountaineering, canyoneering, and whitewater canoeing, which compliments his understanding of rescue principles. Joe’s diverse background originates from a combination of education, work experience and outdoor recreation. He has nearly 10 years working for Alberta Provincial Parks and National Parks Agencies. From these experiences Joe is able to provide a positive and easy learning atmosphere in the classroom and on the river. JP Kors is a Park Safety Tech in Banff National Park and proudly instructing the Swiftwater courses to all the Park Safety Techs in the National Park. He has been an intergrated part of Rescue Canada’s course delivery in the National Parks in the Rockies. All though most of them would rather use a helicopter JP has used his paddling background to cultivate a new culture in Swiftwater Rescue amongst the Techs. 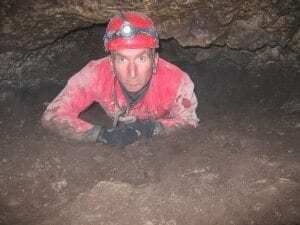 He has lead many rescues in the park and continues his passions of environment protection, climbing and caving. When not responding to calls he might just be out climbing or hanging at his home in Golden on his personal indoor bouldering wall. Blair Doyle stores his paddle in Nova Scotia and is part of the Eastern Canada team. Blair instructs through his Adventure Safety company in the east. Not only does he provide a maritime flair to the swiftwater stream but also has a diverse background in wilderness first aid. 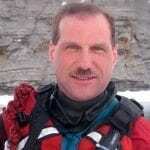 Bill Talbot has been a Rescue Canada instructor since 1998. After more than 10 years guiding rafts and kayaks in Canada and the Southwest USA, Bill helped launch Quebec’s first college level Adventure Tourism program in English. 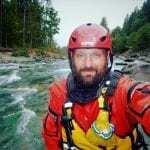 Bill’s uses his background in wilderness guiding combined with his experience as a wilderness first aid, rafting, whitewater paddling and sea kayak instructor to add value to his Rescue Canada courses. When not instructing in adventure pursuits, Bill fills his time with international travel, multi-day whitewater trips and running a small business. Chris Sorenson I am a Transportation Supervisor in Hinton, Alberta. Hinton is a beautiful foothill town just outside Jasper. I own Hinton Rafting Adventures and try to stay on the water as much as possible. Some of my favorite things to do are teaching outdoor skills and enjoying the outdoors with my family and friends. I have been a Rescue Canada Member since 2005 and started instructing swift water/flood rescue courses in 2008 for them. I have since worked in the mining and commercial safety side of instructing. I now have expanded my instructing capabilities and teach ice, ropes, navigable waters boat, cliff, and slope rescue programs. I have been a part of Rescue Canada’s team for the past 9 plus years. My favorite thing about working for Rescue Canada is the new clientele and the direction they have to promote safety in all aspects of daily life and travel. 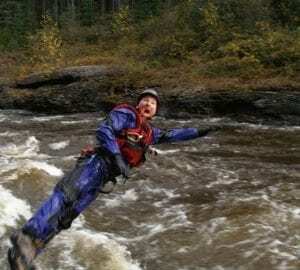 The most daring thing I have done is some of my 1st descents on local rivers in the Hinton and Jasper area. If I had a warning label it would probably say (paddle hard). Paul Harwood calls Hope, BC his home although we think he is truly home in the mountains. Paul is Rescue Canada’s avalanche subject matter expert and spends countless hours keeping the public safe in the coastal mountains as the Highways Avy Tech. Paul’s wide range of experiences and training in kayaking, boat operations, avalanche skills make him a risk management specialist and a valued instructor with the team. When not out in the snow Paul’s new passion is taking him to new heights in the sky as a para-glider. 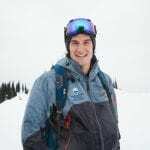 Ari Bruns lives in Revelstoke, BC and is currently a tail guide for a heli-ski company in the winter and a kayak/raft instructor in the summer. When he finds time, Ari loves to live like a ski bum and explore all of the mountains and rivers in Revelstoke. Ari has just recently joined the Rescue Canada Team and loves working alongside the other amazing staff to help people reach their ultimate goals of being safer and better prepared on the river. He teaches a Kayak Specific SRT3 Course. Gabriel Cote-Valliquette Gabriel Côté-Valiquette was born and raised on the river, spending most of his early summers canoe-tripping with his family in Northern Quebec. 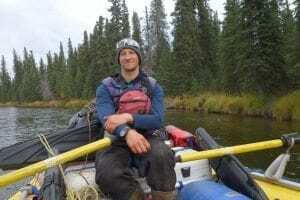 At age 17, he started raft guiding and whitewater kayaking, and has since then become very passionate about sharing his passion for the river environment with others. Gabriel has been working in different countries around the world for 9 years as a guide and instructor specializing in water-based activities. He is currently the coordinator/lead instructor of a one-year Adventure Sport Certificate in Iceland, a new program offered by Keilir (Iceland) in cooperation with Thompson Rivers University (Canada). 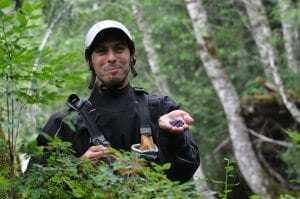 Gabriel graduated from TRU with a Bachelor’s degree in Nature-Based Community Development. Clayton Williams is home in beautiful Canmore Alberta and works for the Alberta Health Services as an Advanced Care Paramedic. Clayton is a graduate from the M.A.S.T. program in Fernie BC and has a passion for the Emergency Services. HE has spent countless hours developing his skills and volunteering for many programs in and around the Rockies including the Banff Wilderness Care Conference. 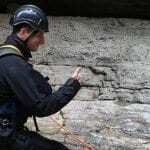 Clayton currently instructs the swiftwater and ice programs for Rescue Canada in the Canmore Area. Rob Lemmon is one of Rescue Canada senior eastern Canadian instructor and has been teaching for Rescue Canada since 1996. 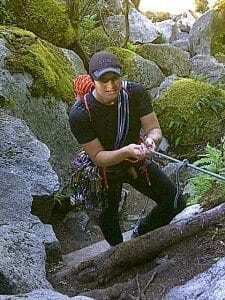 Rob lives and teaches Adventure Recreation full-time in St. Andrews, New Brunswick at the local Community College. 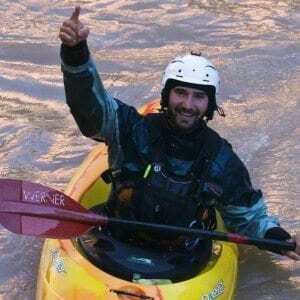 Besides teaching Swiftwater/Flood Rescue, he teaches CAA Avalanche Awareness, Wilderness First Responder, Risk Management, rock climbing, CANSI & CSIA ski courses, and the full range of CRCA boating courses. Rob volunteers his time with the local Search & Rescue organization and as the Technical Director for Canoe/Kayak New Brunswick. 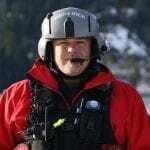 René Ritter is one of Rescue Canada newest instructors and Canada’s northernmost instructor. René is originally from Newfoundland but has lived and worked on Baffin Island, Nunavut for the last 10 years. In addition to teaching wilderness medicine and pre-hospital care courses, René has a passion for the outdoors and anything involving the Polar Regions. In addition to backcountry skiing, René is an avid SCUBA diver, and boater and enjoys taking people out into the wilderness or on the water. René also has a passion for dog sledding, mountains, and glaciers and has participated in expeditions in South America, Africa, Greenland, and Nepal. Through his business, BFA: Emergency Response Education, René will be working with Rescue Canada to offer swift water rescue courses in Nunavut and Newfoundland and Labrador. René loves the challenges inherent in the river environment and is excited to help others who recreate or work in or around moving water.